What happens when robots wind down? Do they actually sleep? Yep, they do, according to this charmer with a mechanical twist. 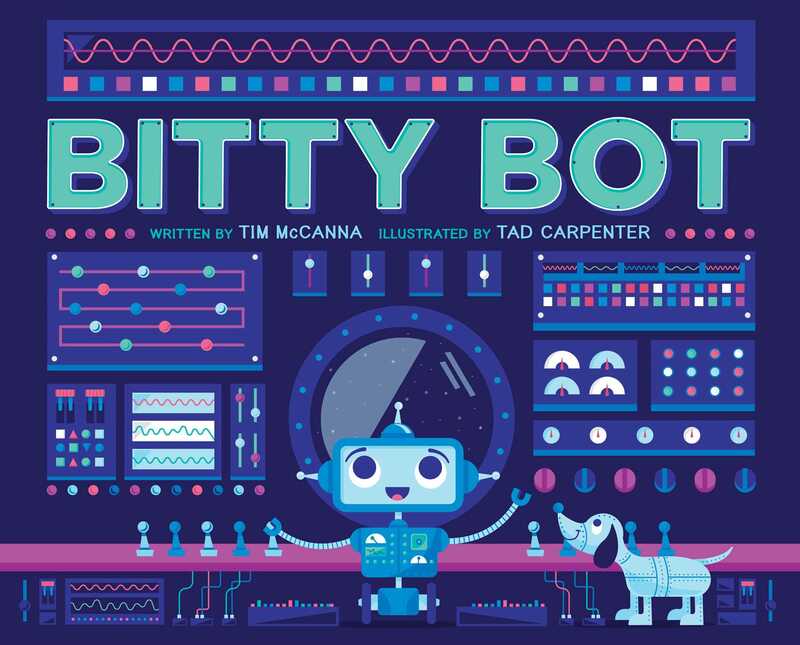 Told in jaunty, rollicking rhymes that are enlivened by colorful, humorous digital illustrations, this robot version of a bedtime story demonstrates that, no matter how energetic a little "bot" may be, there inevitably comes a time when "batteries are running low!" . . . Young techies may or may not want to zoom into bed right after listening, but they'll be more than a little "bitty" ready for repeat readings. A lively fantasy that will make for a fun read-aloud. Carpenter’s palette of blues and purples and greens conjures a vivid and unusual world of nighttime technology. . . . The book’s storyline will be a hit with kids and parents alike.